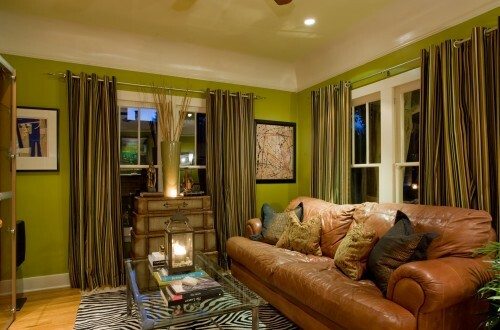 To make a room more inviting, layer lots of texture in your space. The various textures in the space above, from leather to wood and glass, work together to create a welcoming feel. For more great ideas visit www.cheapchicdecor.com.